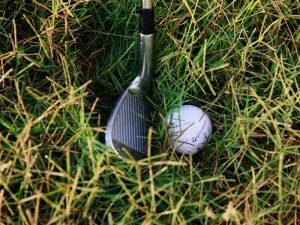 If you are struggling with inconsistent contacts, try these Tour Ball-Striking Drills to get yourself back on track! Keeping your sternum directly over the ball is one of those fundamentals we hear repeated time and again. 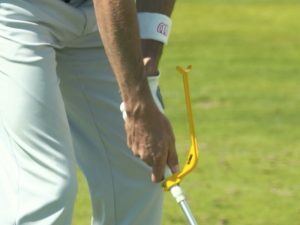 Cabrera-Bello uses his putting mirror to check it. Setting your upper body correctly over the ball at address and then returning to this position through impact is the key to consistently sweet strikes. 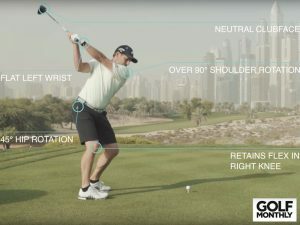 As well as checking his clubface alignment before he hits, Martin Martin is also using this drill to focus on a spot just in front of the ball. 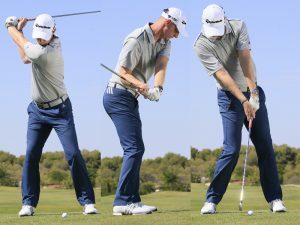 By doing that he ensures that he strikes the ball first with the ideal, downward angle of attack. Placing a tee in the ground in front of your ball is another way to hone cleaner, sweeter contacts. 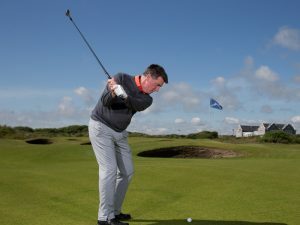 Ian Poulter uses a simple T-Bar to check both his ball position and alignment. 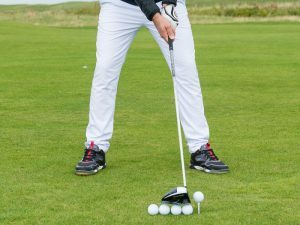 These are the foundations of good ball striking and worth checking regularly yourself. 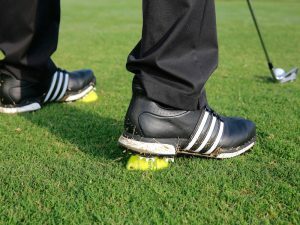 This is a drill that Harrington has actually taken with him onto the course during competition. The theory behind it makes perfect sense. 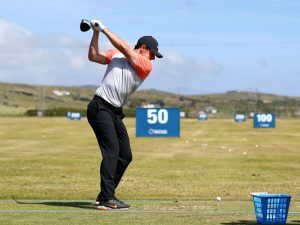 Essentially, he steps into the finish position to create a better, more natural weight shift through the ball. 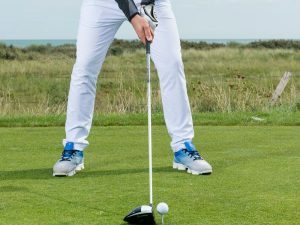 Moving your weight towards the target in the downswing is one of the most basic fundamentals in the swing – get it right and you’ll hit the ball further and straighter. 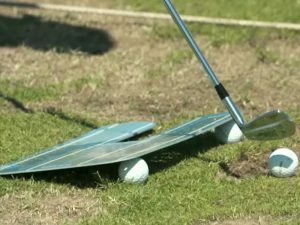 For Tour Ball-Striking Drills, this one is very simple. Stewart Cink places an alignment stick in the ground about 6ft ahead of where he is hitting from, directly on his ball to target line. 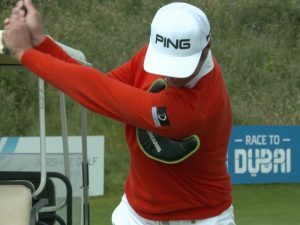 This illustrates how straight he is starting his shots. 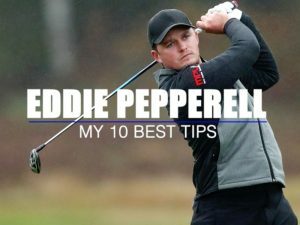 It can also help you with your shot-shaping. If hitting a fade, you must start the ball left of the stick. 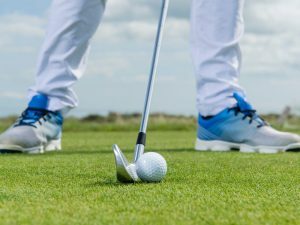 If hitting a draw, the ball should fly off to the right. It’s a simple drill, but a really effective one.